Sony has announced the latest addition to its family of RX0 solutions with the launch of a new Release Cable, the VMC-MM2. The company says that the VMC-MM2 is a new solution for dual camera shooting, freeing the user to capture two different forms of content simultaneously. The ultra-compact dimensions and superb image quality offered by the RX0 make it the ideal accompaniment to other cameras for dual-camera capture. 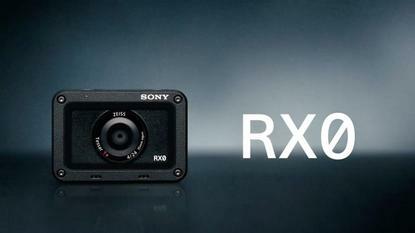 Combining the RX0 with other Sony α or Cyber-Shot cameras via Multi Interface Show or via bracket/rig, photographers can use the RX0 as a sub camera to concurrently shoot high quality images. VMC-MM2 realises simultaneous photo/movie shooting with just a single press of the main camera’s release button. It enables the user to capture one moment in two different ways, with a variation of angle view, depth of view or frame rate amongst other things, delivering two forms of expression and thus increasing the amount go content captured and extending the potential offering to customers. Its coiled cable design with right-angle connector keeps the cable tidy, and clear of the EVF whilst shooting. This form of dual-camera shooting is especially useful for wedding, event and press conference photographers and journalists. It offers the opportunity to capture multiple perspectives using different angles of view that can be edited and packaged into an impactful series of work. The new VMC-MM2 will be available in Australia in April 2018 for $99.